Many people claim that they use beer as a fertiliser for plants in their garden. There is a different opinion among gardeners about using beer as plant food. Though there are no scientific studies to prove that beer provides the nutrients to the plants, nevertheless many people still use the stale beer to water the plants. Beer contains 90 percent of water and carbohydrates in the form of simple sugars. Yeast is used in the preparation of beer and when poured on the soil, fungus growth can cause a stench in the garden. 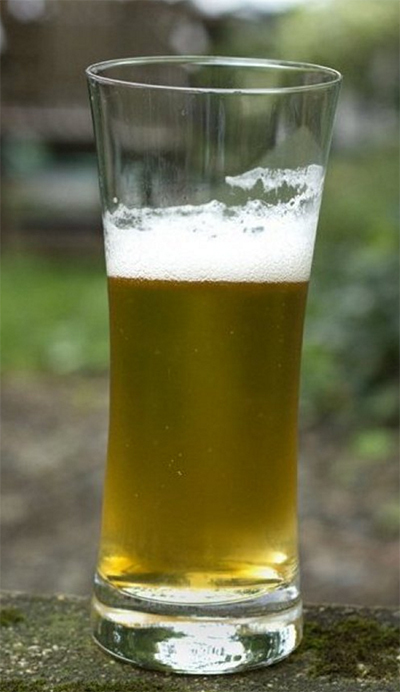 It is necessary to use beer diluted with enough water in the garden to evenly distribute the sugars and to prevent the stench due to yeast growth. Did it ever occur to you that, by using the beer in the garden in such a way it may attract ants and other insects to the plant which will ultimately cause damage to the plant. It is not advisable to use brand new unopened beer as fertiliser as it is a costly option. However, stale beer can thoroughly be used to water the plants as they contain some nutrients, which will help in the growth of plants in the garden. Opened bottles of beer that are left over from social evenings or garden party events can be used for fertilising vegetables, daylilies or different types of flowering plants instead of wasting the product by throwing out the liquor down the kitchen sink. Your lawn can also get benefited by pouring the beer on it. Any brown patches in your lawn can get a boost in growth by adding diluted beer on the patch. The grass will get the nutrients from the fermented sugar present in the beer and the acids present in the beer can kill the fungal growth in the soil causing the brown patches. Beer can also be used for faster composting of organic waste in the garden. Pouring a bottle of beer with one cup ammonia and 4 gallons of water in the compost pile provides the necessary heat for the action of microorganisms. The sugar and the yeast in the beer and nitrogen present ammonia, improve the growth of bacteria which will help in the decomposition of the organic matter in the compost pile. Hence beer is useful in making plant food. It has been found that when a can of beer is mixed with, ammonia, liquid lawn food, and dishwashing liquid and molasses is sprayed on the gardens or on lawns, help in better growth of each and all different types of flowering plants and grasses. The sugar and yeast in the beer along with molasses provide the feed for beneficial bacteria in the soil and this, in turn, will help in nourishing the plants. Regular application of this mixture can keep your garden green. Though beer helps in just about any plant growth to a certain extent, buying beer to pour on the soil is an expensive way to maintain your plants. You can get similar results by making other homemade plant foods from the organic wastes in your home or using less expensive items as fertiliser. However, if there is leftover beer there is nothing wrong in using it as a fertiliser. Moreover, beer is an organic solution to get rid of some of the drunk slugs and snails that appear to wreck and feed on the buds and blooms of your loved plants in your garden.